Apple iPhone 5c factory unlock, this is a genuine factory unlocking service, we do not even require your iPhone, just your iPhone's IMEI number. 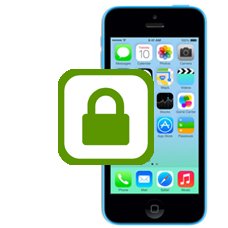 Once we have your IMEI number the unlocking process can begin, we can only unlock your iPhone 5c if it has a clean IMEI, this means we can not unlock blocked IMEI or barred IMEI, or if your handset has been reported stolen or lost or insurance claimed blocked. We can unlock your iPhone 5c on any network plan, this includes Pay As You Go Plans, Pay Monthly Plans and Business Plans. Our processing time for unlocking is 3 - 10 working days, the processing time is a guideline only we will do our best to unlock your iPhone 5c as quickly as possible. After you receive confirmation of your unlock, all you have to do is insert a different SIM into your iPhone 5c and then connect with iTunes. Shortly after connecting with iTunes your iPhone 5c will be factory unlocked and ready to use. Do you unlock iPhones from Irish carriers, Three and Meteor. We can unlock handsets on the Three mobile network, just select the option when ordering the unlock for your iPhone, sadly we do not unlock Meteor at this time.